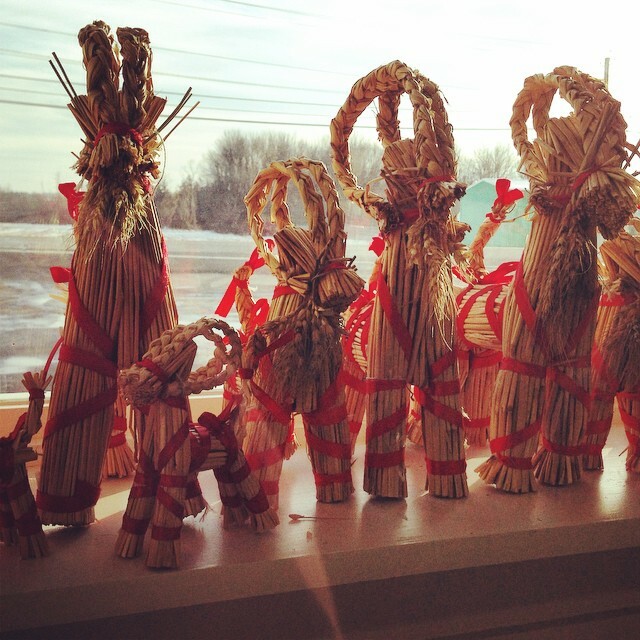 Local Candles, Soaps, and Knit Goods. 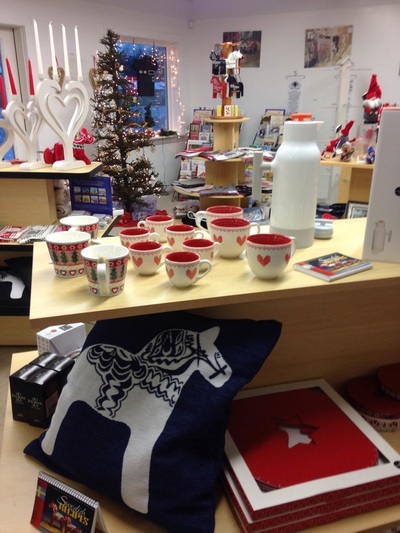 Special Lingonberry scented candles available, locally made. 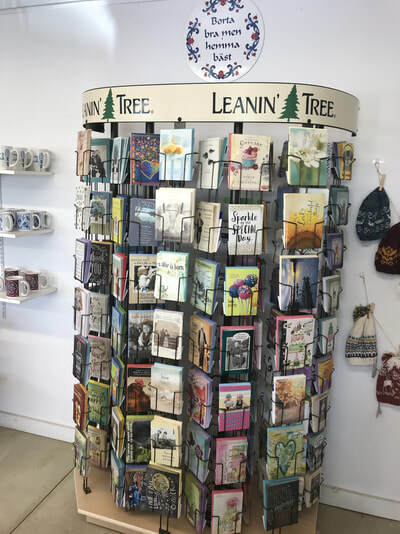 Leanin' Tree Cards are now available for a wide variety of occasions. Our Swedish Open House is the first Saturday in December, there will be lots of food sampling and gift basket raffle. 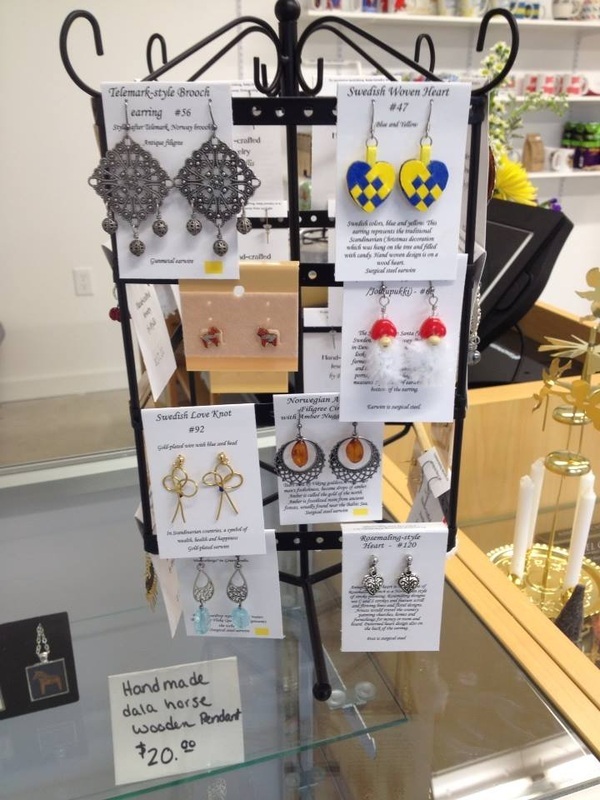 We have new items imported from Sweden that include Ekelund Weaving, and Sagaform. We have table runners, table cloths, towels, pillowcases, glogg warmers, and many other items. 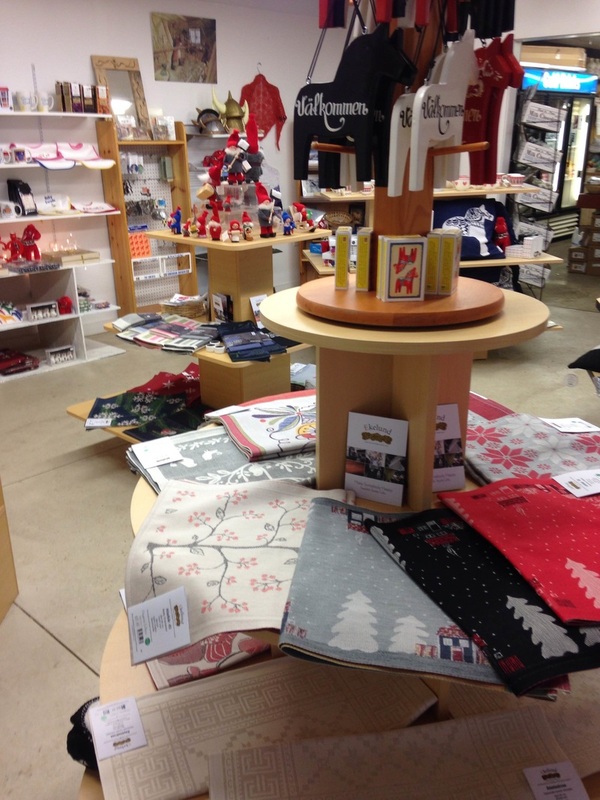 Stop in and see all the new items we are carrying. 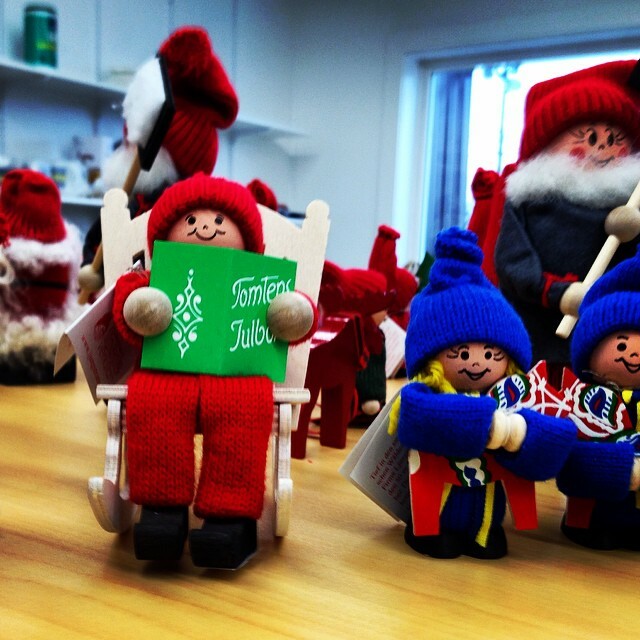 ​We have a wide selection of decorations, Jul Tomte, books, Jewelry as well as mugs, magnets, and keychains to show off your Scandinavian pride.